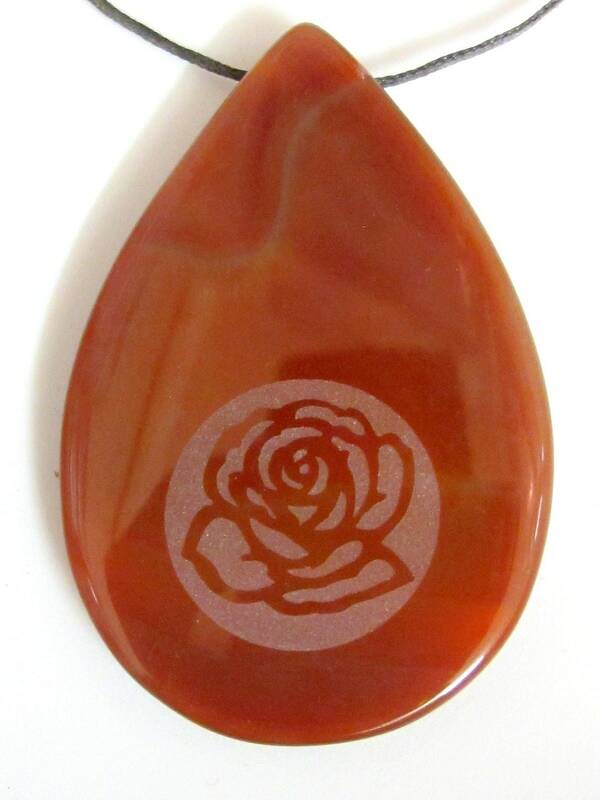 This is a carnelian gemstone teardrop shape pendant bead. 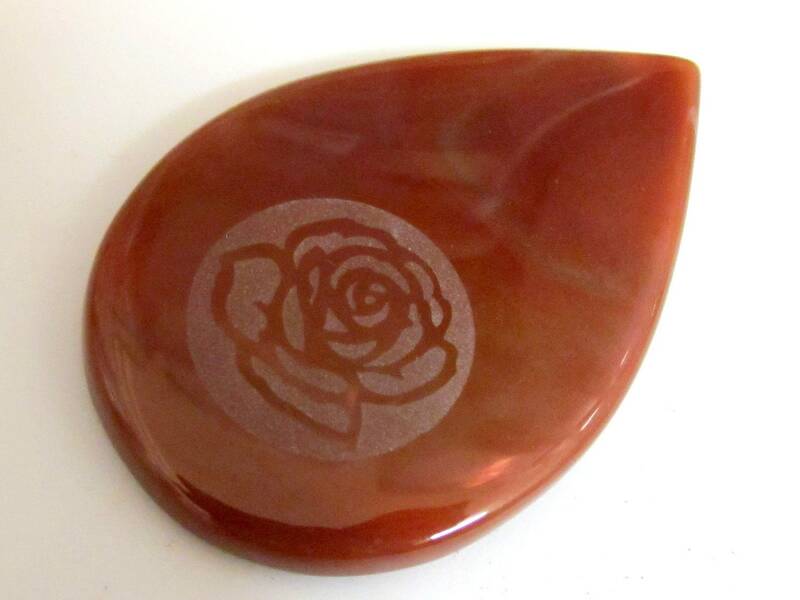 Etched with beautiful rose flower on both sides. 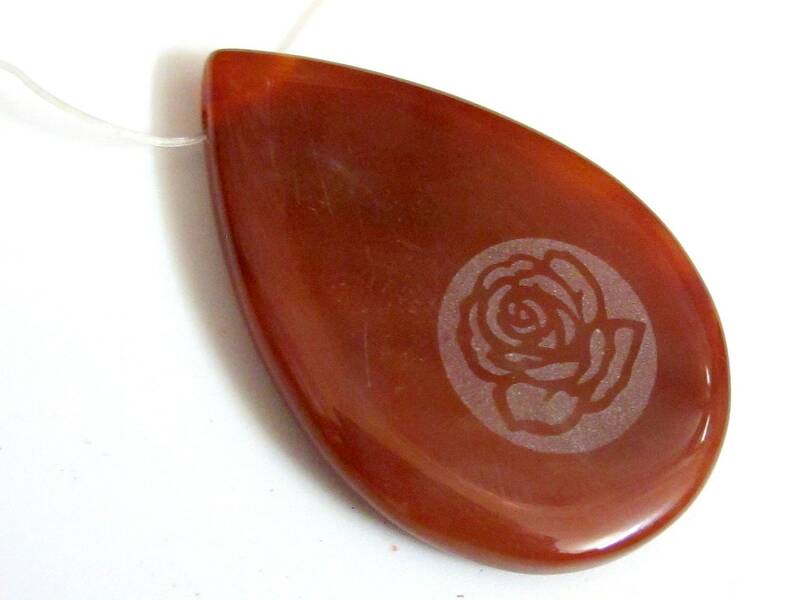 Will make a beautiful focal bead or pendant in your necklace. 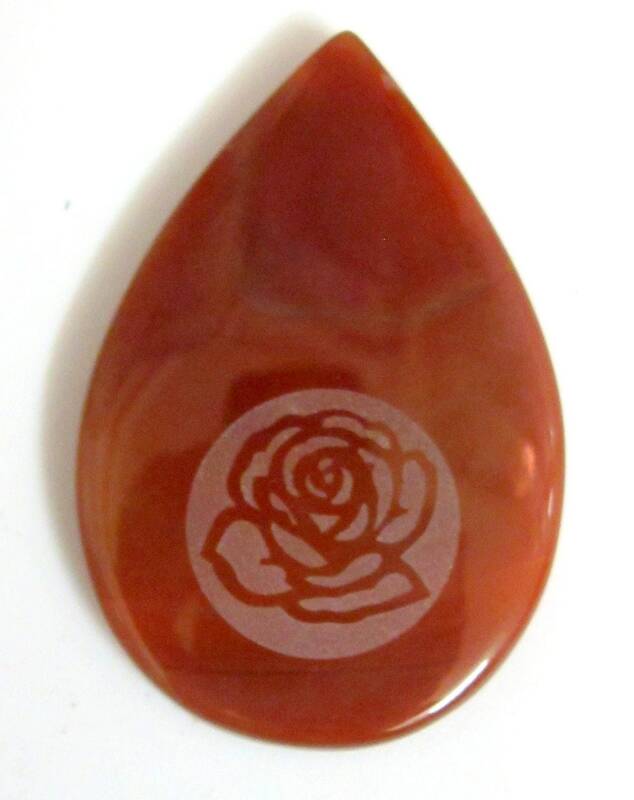 Please note that these are made from natural gemstones hence no two beads will be exactly the same and color tones may slightly vary from bead to bead. Size : 55 to 57 mm long x 37 - 39 mm wide !!! Top drilled large size gemstone bead.